In today’s world, it will be hard to define ourselves without our devices especially our smartphones. Our treasured messages, memories stored as pictures, videos, music are important to us. 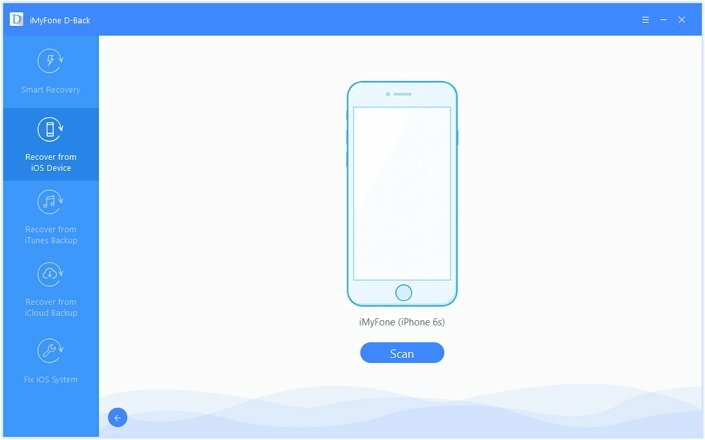 Now imaging a situation whereby you lose your iPhone or accidentally deleted an important file, picture or message, how would you recover them? 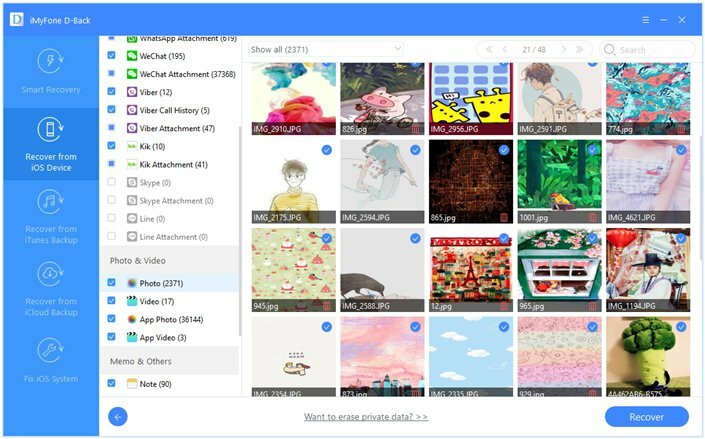 Lucky for us there are a lot of data recovery tools in form of mostly desktop application and sometimes software which can aid us in retrieving our precious data. Among this applications, few of them are truly free, but you're also allowed to use some free functions before purchasing. 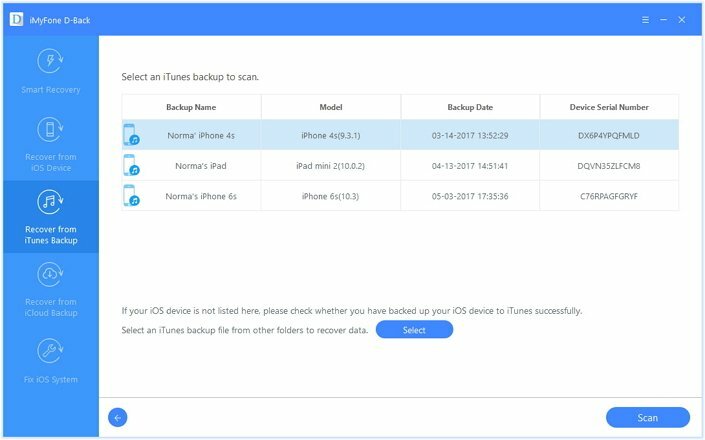 Why Are Deleted iPhone Data Recoverable? You might wonder how it is possible to recover a lost file of the message on your iPhone? Don’t panic as the apple database SQLite helps to save all messages and when it is deleted its contents are not deleted on the database but rather its status changes from Allocated to Unallocated and this means the recoverable software which can access the database will help you retrieve your deleted iPhone messages. Also if your message was backed up, you can always recover them as well. It is however much safer and reliable to recover lost messages through third-party recovery apps or software. 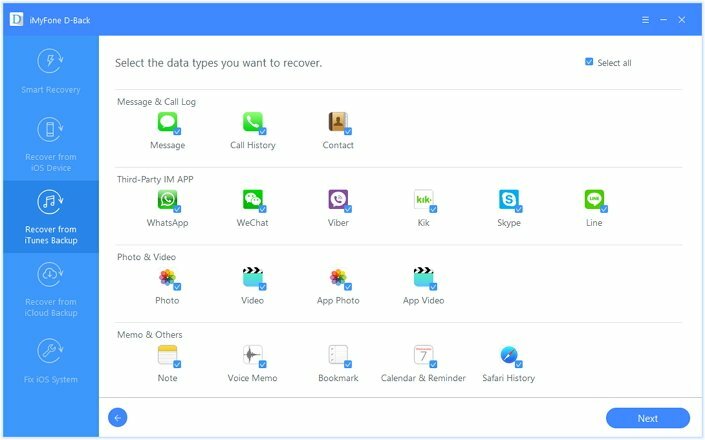 Whenever you need a suitable recovery tool to retrieve lost data for your iPhone, look no further than the iMyFone D-Back Recovery Software. It is one of the best software available today and is compatible with both Windows and Mac systems and despite the fact that it is a paid software, you can feel free to make use of its trial version and you might probably get your lost iPhone data back. Supported iOS Devices & File Types: supports up to 18 different data types such as WhatsApp, Kik, messages, music, photo, etc and also supports the latest iOS devices like iPhone X, iPhone 8/8 Plus running with iOS 11. Repair iOS Issues: solve problems like reboot loops, device screen flashes, stuck in black/white screen, stuck on apple logo/recovery mode, unresponsive screen and more. Step 1: Download, install and launch the iMyFone D-Back Recovery Program. Then click on Recover from iOS Device and click Start. 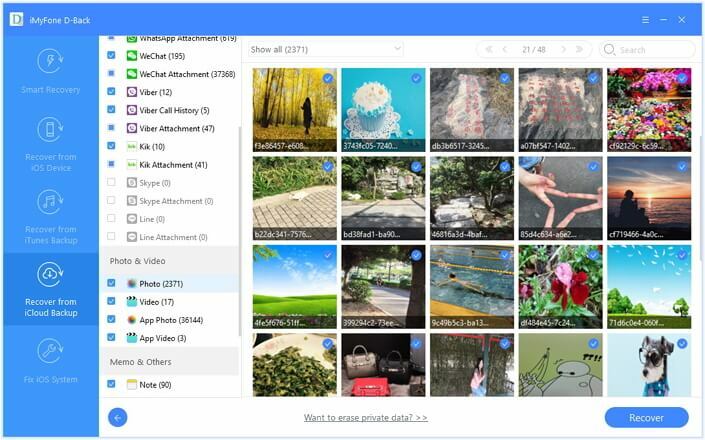 Step 2: Select the type of files you would like to retrieve. Step 3: Connect your device to your computer then click on Scan to find the data you want. Step 4: After a free-previewing, click Recover on the bottom right corner and choose a location to save your data. 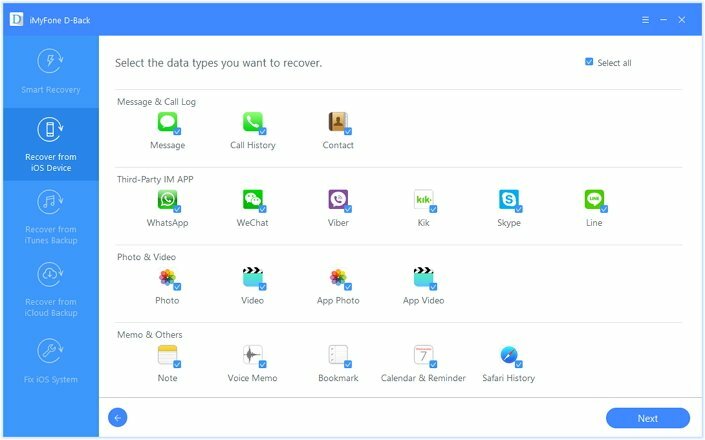 Step 1: Download and install the iMyFone D-Back Recovery Desktop App and launch it. Step 2: Select Recover from iTunes Backup and pick the files types you want to recover. Step 3: Pick the exact iTunes Files you want to recover, click on Scan and free preview the files. Step 4: Create a folder for the recovery and then wait for the process to finish. Step 1: Download and install the D-Back software and connect your device to your computer. Step 2: Access the Recover from iCloud Backup option and click Start. 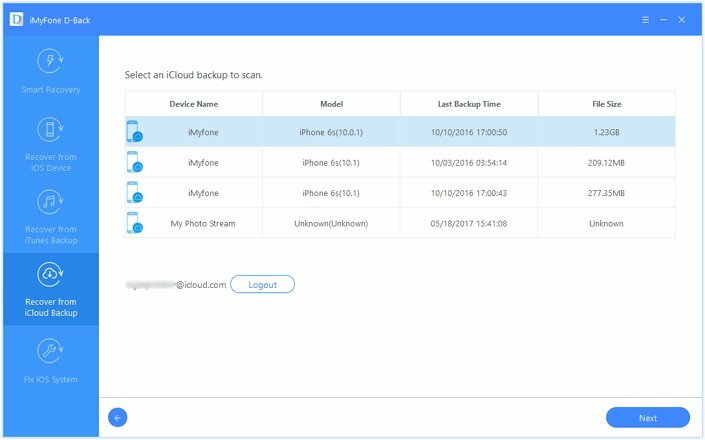 Step 3: Choose the files you would like to retrieve and sign in to your iCloud account and the software will search for all related iCloud backup. Step 4: Select the most relevant backup, tap next to preview free. Click Recover and finally select a location to store the recovered file. 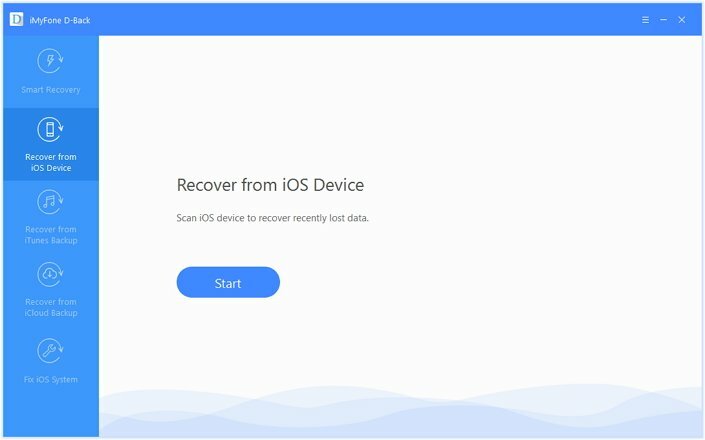 This article is written to give you information on how to free recover you data in the event that you lose data on your iPhone. It also introduces to you one of the best iPhone recovery tools - iMyFone D-Back as it has great features and easy to use.